We have a bug lover around here. If it creeps, crawls or flies she wants to hold it, examine it and study it (Our little scientist). A couple of years ago we found a Hawk Moth egg on one of our tomato plants. Not so great for the tomatoes but AWESOME for us! We plucked the leaf it was attached to, brought it inside and watched it grow. We researched it’s name, what it would need to enter it’s pupa stage. The entire process from egg to moth was so cool! I think Hubs and I were just as excited as the kids. So this year we have a new plan. We are going to TRY to find butterfly eggs on our own so that we can watch the entire butterfly life cycle unfold in front of our eyes. Oh I hope it works. A Simple Caterpillar Home. You are going to need a place to put the egg once you find it. I used a mason jar and the netting that comes around the onions we buy. (That type of netting also comes around oranges, avocados and garlic… it comes in really handy!) I took the center of the mason jar lid out and draped two layers of netting over the top of the glass. Then I just screwed the lid back on. I know from experience that caterpillars will stay where you put them as long as they have food. But if you’re concerned about them getting out just add more layers of netting. Finding a Butterfly Egg. Butterflies (and Hawk Moths) lay their eggs on the underside of leaves. We spent about 15 minutes gently turning over leaves until we hit the jackpot. Well we hope it’s the jackpot, we have to wait a few days and see if they actually hatch into caterpillars. Tip: The eggs are probably on the leaves those caterpillars will want to eat. That means finding eggs close to home is the best idea. You’ll need to refill the leaves pretty often and it’s easiest if all you have to do is walk out front. Study the Butterfly Life Cycle. Print the worksheet. Talk about what is happening at each stage. What words would they use to describe this stage? Have them draw a picture also. Maybe even add dates to each stage. How long does it take the caterpillar to go from egg to chrysalis? Check out butterfly books from the library, do butterfly activities. By doing an image search on Google you can find out what type of caterpillar you have! Have you ever collected butterfly eggs? What tips would you give us? This post originally appeared May 7, 2014. My little guy also loves anything to do with bugs! Thanks for the worksheet! You should check out the Monarch Lab or Monarch Joint Venture! Great resources on butterfly (monarchs mostly) biology and life cycle, how to find them and what to do when you do! I work there and it’s great fun! Wow Katie, Those sites are really neat. My son loves Monarch butterflies, he will get a lot of use out of the those! We got the butterfly garden for my grandchildren. We currently have 8 Painted ladies butterflies and are waiting for the last two to emerge. It has been a wonderful experience and so exciting for my grandchildren, they love it and they are only 2 & 3 yes old. I love it! 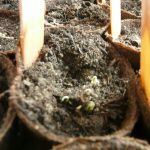 We did the first collect and grow when my Little M was about 3. It was very cool to watch her experience it. Not sure if you are still doing this, but black swallowtail butterflies love dill, and parsley. If you plant some in a container outside, they will find it and lay eggs. So far this year I have 7 with more eggs to hatch. I like your container idea. Good luck. 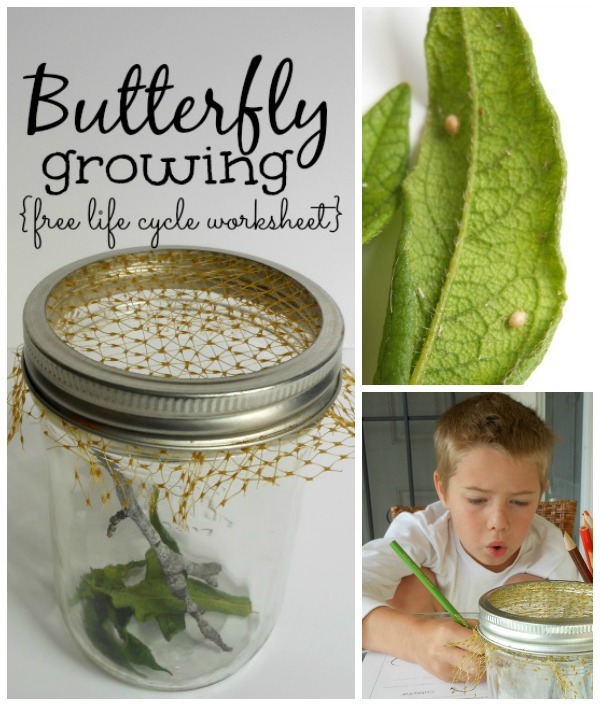 Enter your email address to get the Butterfly Life Cycle Worksheet sent to you.